This Shows in submit – If you setup no to option “Use Google Places autocomplete for Search?” from -> Theme options -> Advanced search settings. You can select the measurement unit you will use on the website. Choose between square feed and square meters. If users can type password the form will have these fields: username, email, password, re-type password. 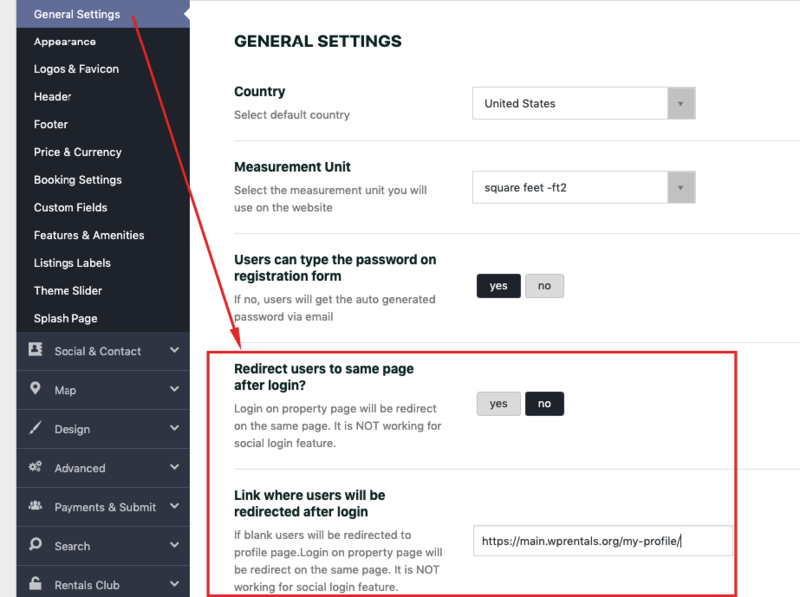 IMPORTANT: When using login through social media (Facebook, Twitter, Yahoo) – the user is disconnected from the site register and is taken over by the API of the social login which registers and logins the users. 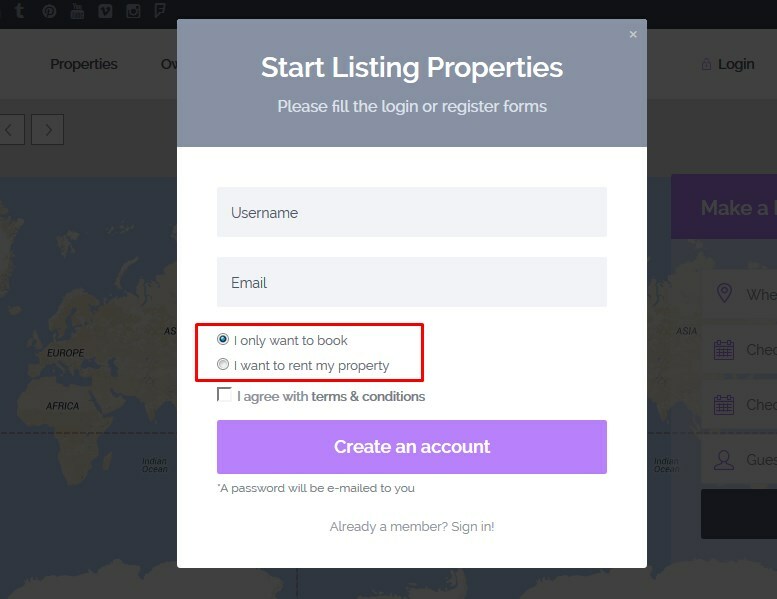 In this case, user will have the default options (which include submit) even if you enable the option to select between users who rent and users who rent and book. 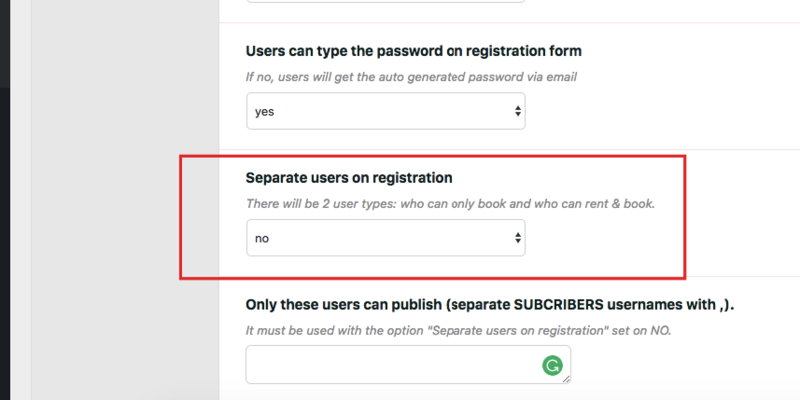 If you choose the option to NOT separate users on registration, all users who register will have all user dashboard pages (including submit). Then only those specific usernames will have full dashboard pages. 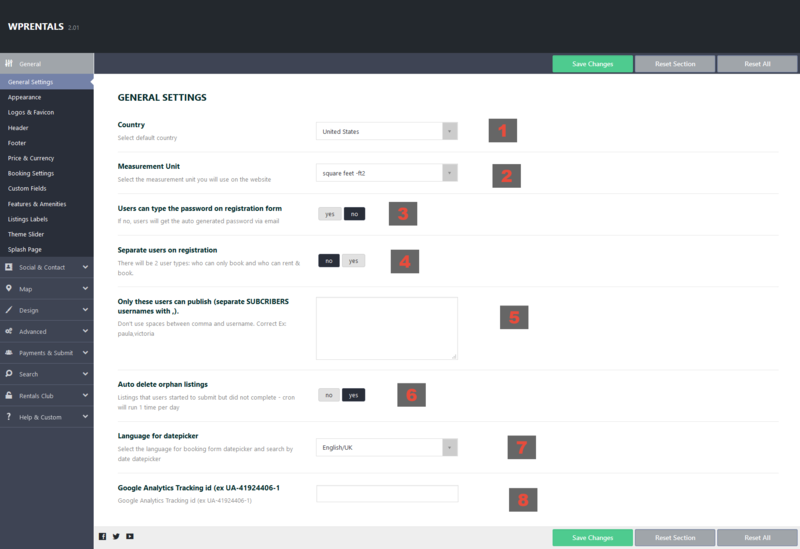 The rest will have the dashboard with limited pages (not submit options). 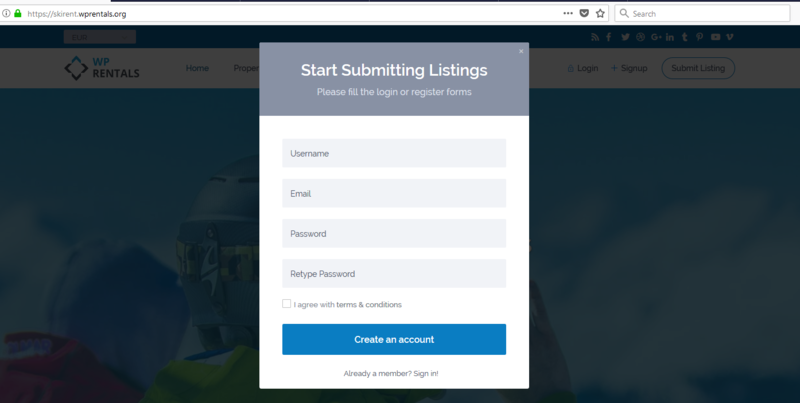 The Submit Property page allows users to see the first steps in submitting a property. Users must Register / Login before moving forward with the submission. Facebook / Google and Yahoo – use third party API which – at the login moment – disconnect the user from the site and connect the user to their own API to login. 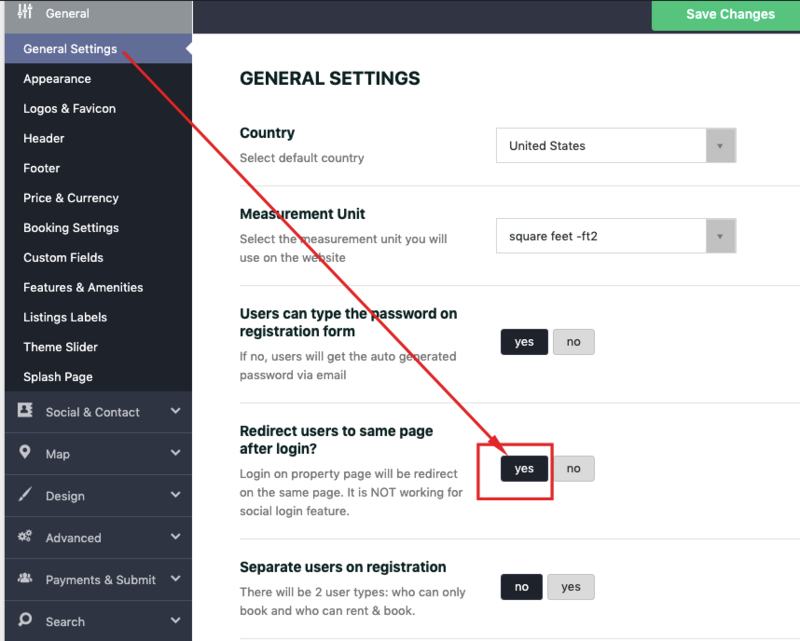 Because of that disconnect, social login cannot save the info submitted and there’s no technical way to do it otherwise. If you use Social Login, please remove the Submit Property button. 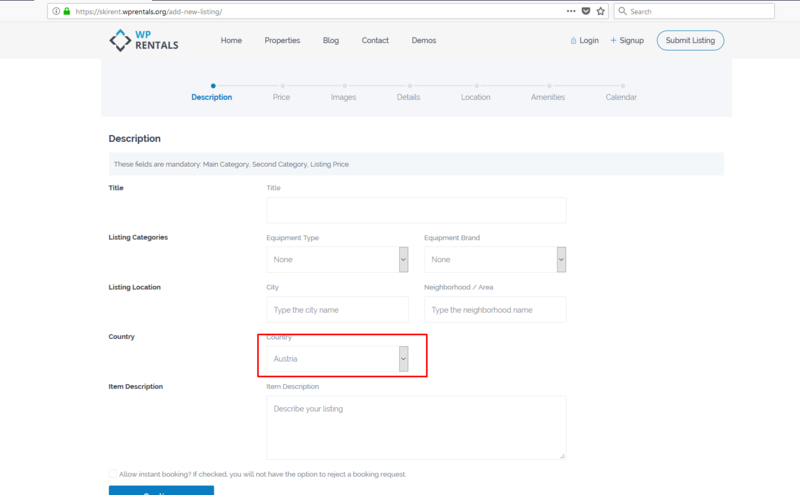 When user starts to submit a property, but he doesn’t login / register to finish the submission, the property is called orphan as it has no username attached to it. 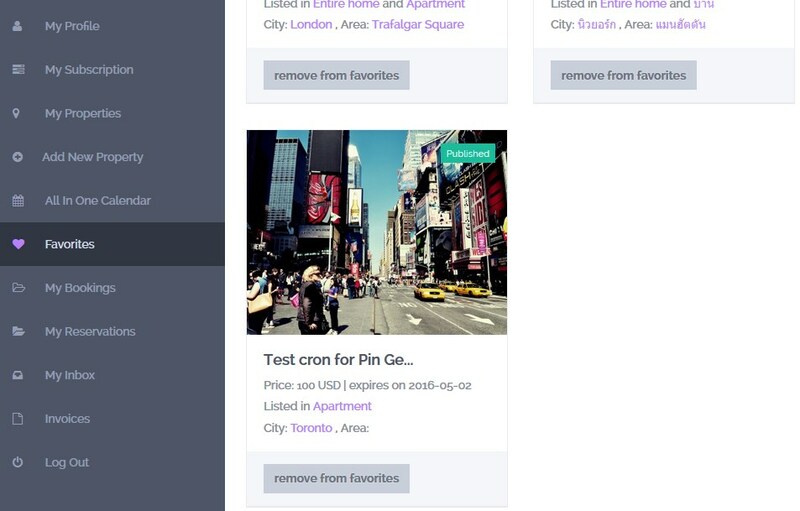 This option automatically deletes properties started from Submit Property – but not completed. 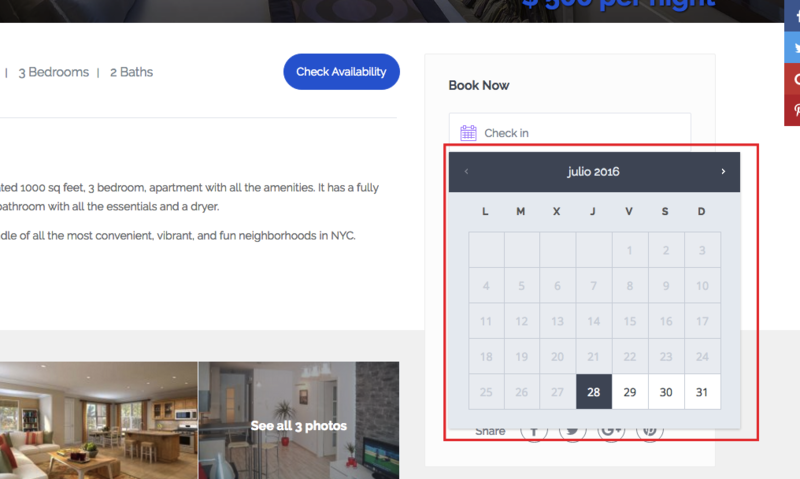 The language for the Availability calendar is set from WordPress admin – Settings – Languages.